Consulting with businesses to develop or elevate branding, image, web design, internet exposure, offerings, referrals and sales. Developing and implementing member and community online communications particularly through Social Media Marketing Campaigns – Including Facebook, Twitter, YouTube, Google+ and other social media platforms. Wrote a chapter on Facebook Marketing in a Social Media eBook in 2008 predicting it replacing emails and other forms of marketing. Clients include: Sevananda Coop (USA), Heartfelt Movement (USA), Vibrance Raw Food Delivery (USA), TEFL Int (International), The Spa Resorts (Thailand) Samui Wellness Spa (Thailand), Awaken-Love (International), LoveLight Yoga Wear (International), Abigail'sInsights (International), Nartana's Art (International), Colloidal Nano Minerals(International), Beach Republic (Thailand), Ananda Wellness Resort (Thailand), MonteVista Retreat Center (Thailand), Atmanjai Wellness Center (Thailand), TransendYourStory.com (International), Yoga Tree SF (USA) along with numerous social and creative entrepreneurs. Website design, layout, content and communications. 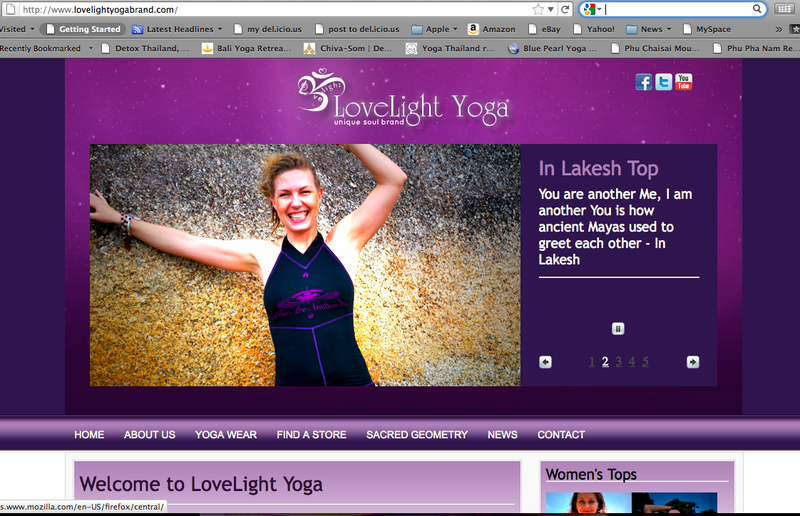 Developed new partnerships with businesses and entrepreneurs, including Whole Foods, Esalen and Yoga Tree. Created, launched & implemented Awakening3D YouTube channel video tour for A360’s online directory providing inspiration, education and social media interaction while optimizing search results, creating a buzz, increasing exposure and new sales for A360 and members. 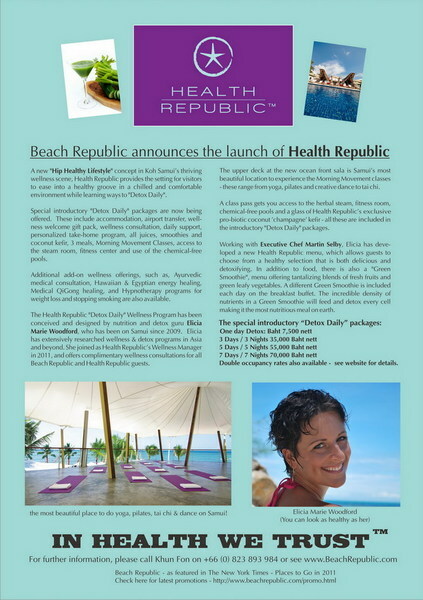 Expert Retreat Consultant; researched over 20 detox, yoga and meditation retreats in Thailand. Created, implemented and facilitated custom programs for 2 resorts in Thailand including brand name, program, products, supplies, service providers and menus. 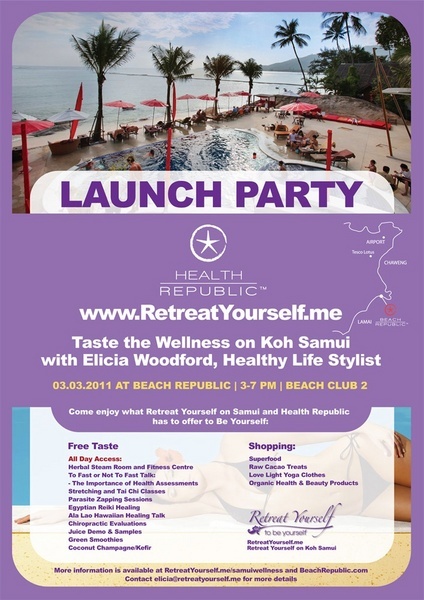 Launched an interactive social media campaign with YouTube video tour and blog called “Elicia’s Detox World Tour” to inspire and educate people while promoting detox retreats, wellness services and lifestyle resources, giving them resources and opportunities to customize their own detox program away, or at home, to suit their physical, emotional and spiritual needs. Used Blog Reviews, aYouTube Channel, as well as, Twitter and Facebook Updates and Photos to connect people to these resources. Elicia is wonderful at her work in the world. She is passionate about supporting, connecting, and empowering holistic practitioners and progressive organizations to have a big impact in the world. I've finally got a YouTube video because of Elicia. She asks great questions and gets to the heart of it! I fully endorse her and suggest you hire her! Elicia is great-- she radiates and knows how to get you to radiate your best too! I am eager to do further work with her. I am excited to have had the opportunity to meet and work with Elicia! She has a beautiful mission in her work, and her genuine nature shines through. I was blessed to have her come to my Chiropractic office and film me for my profile on Awakening the Bay. She takes the time and energy to get to know you as an individual and as a professional, and has great wisdom in promotion for your business. As a holistic marketing professional, her knowledge, passion and ability to connect is apparent from the very first encounter! Thank you SO much, Elicia, for your vision and dedication to bringing about visibility for holistic practitioners, and I recommend you with all of my heart! I feel fortunate to have had the opportunity to work with Elicia and benefit from her services. She is not only extremely knowledgeable about what it takes to help conscious businesses (like you and me) experience growth and success, she is passionate, caring and sincere. She worked with me on a video project, taking time to really get to know me, and beautifully captured the essence of what I presented. 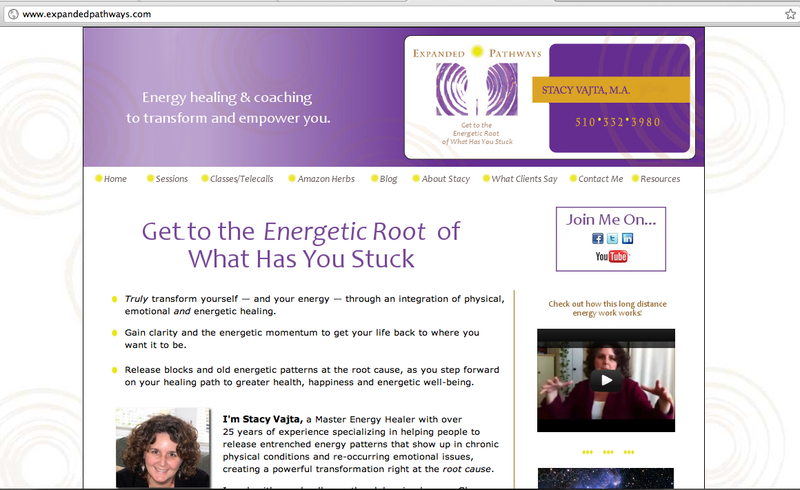 She is intuitive, heartfelt and a gift to the Conscious Business community! Elicia has worked with the Career Wisdom Institute connecting us to A360's platform, posting our content, sharing it in online and with other communities, video capturing our workshop, and posting the material across social media increasing our exposure. Elicia has also made excellent suggestions and holistic connections. She is bright, funny and incredibly knowledgable. She will help your business grow, grow, grow! Elicia is incredibly gifted. I had an amazing time yesterday connecting with her, brainstorming, and sharing much needed laughter! She took the time to get to know me and my story, how the business was birthed, and learn about how it is evolving. Within an hour, she was able to identify critical key strategies for Dragonfly Healing Center as well as my own personal brand. I am looking forward to implementing our action plan and reaping the benefits! I highly recommend Elicia for all your holistic marketing consulting needs~improving branding, online presence and communication. Elicia has a unique talent to see the essence of what you are offering and then help you frame it in a way that supports people to really "get" you. By helping me translate who I am and what I do, I've been better able to connect to the people that will receive benefit from what I offer. Elicia has an innate capacity for connecting people with the right resources and helping them utilize the marketing avenues we have at our finger tips like Facebook and Awakening360. Her marketing and branding consultations has helped me form my unique platform and then connect with my ideal clients. I would HIGHLY recommend her marketing consulting services. Not only is Elicia Woodford the powerhouse behind the internationally recognized website, The Detox Advisor, she’s a branding expert for wellness businesses. She’s so good they call her “The Holistic Translator.” And you’ll see why! When it comes to crafting a story for your out-of-the-box and creative business that the mainstream will understand, Elicia’s who you want on your team. In 2007, Elicia left her successful corporate sales career to follow her heart and went on to create 5 different brands, websites and social media communities that now thrive under one successful brand, The Detox Advisor - enjoy life!. Her branding and marketing services have built a strong and interactive community network for her recommended holistic businesses, practitioners and healers with her Online Holistic Detox Community, Directory and website memberships. Elicia uses clear and direct words to describe your specialty, what, and who, you are good for and clearly state your uniqueness and benefits through your brand name, tagline, message and images on your business cards, websites, email newsletters, blogs, social media, events and all communication to attract more clients. Increase online exposure and community connection with creative interactive social media campaigns, YouTube videos and networking. Personal brand including how you feel to other people. To be consistent when then meet you and when they read your site it will feel like they are meeting you already.